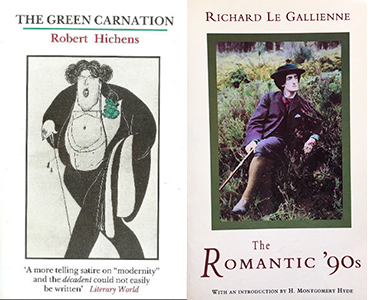 Various members fell foul of the puritanical censoriousness of the time: Wilde was tried and imprisoned for “acts of gross indecency with men”; Thomas Hardy was vilified for his novel Jude the Obscure; and Symons for his collection of poems London Nights. The roll-call of after dinner speakers reads like a literary Who’s Who of the time: Arthur Conan Doyle, Frances Hodgson Burnett, Mark Twain, the publisher John Murray, Virginia Woolf’s father Leslie Stephen, Jerome K. Jerome . . .
During World War One, Whitehall Court became an “unofficial nerve centre of the home front.” Government officials joined the club to recruit writers to serve as propagandists or what are now called spin doctors. No person of German birth or nationality was allowed to join. Ford Madox Hueffer changed his name by deed poll to Ford Madox Ford. (His grandfather, Ford Madox Brown, was a well-known painter, and his German émigré father was music critic of The Times). His most famous work is his Parade’s End tetralogy, which was preceded by a collection of stories, Zeppelin Nights, panned by J. M. Barrie for being “one of the stupidest and dreariest pot-boilers ever published in London,” ending with the rebuke, “He considers Ezra Pound a good poet.” H. G. Wells came to Ford’s defence. This tale of grievous literary harm reminded me of Salman Rushdie’s move to New York in 2000 because of the “bitchiness” of the London literary world (since which time he has returned). The 1920s and 1930s were tumultuous years and financial hardship was endured by many authors. The Authors’ Club supported beleaguered members in their application to the Royal Literary Fund which offered grants to published authors having financial difficulties – James Joyce for one, back in 1914. During the Spanish Civil War, the Republican cause supported by club members opposing Franco’s authoritarianism, and Malcolm Muggeridge joined in 1937, warning of the dangers of Stalinism after witnessing the effects of famine in the Ukraine. “The great advantage of being a writer is that you can spy on people. You’re there listening to every word, but part of you is observing. Everything is useful to a writer you see – every scrap, even the longest and most boring of luncheon parties,” Graham Greene. 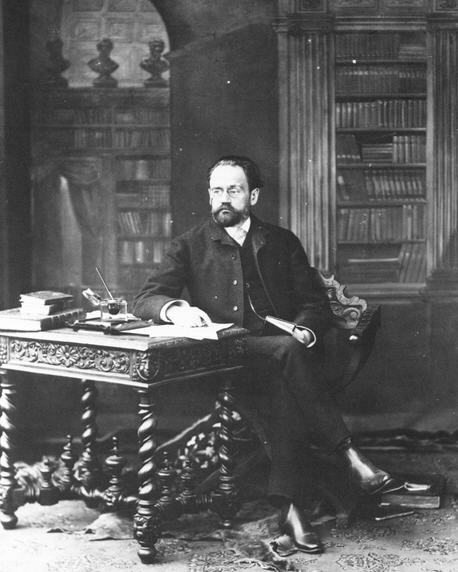 Literary lunches were perfect recruiting grounds for spymaster Maxwell Knight. He recruited Ian Fleming this way, and later became a model for the James Bond character “M”. His warnings about the ‘Cambridge Five’ – Maclean, Burgess, Philby, Blunt and Cairncross – were ignored until the 1950s. How appropriate therefore that Andrew Lownie was a guest speaker at a club lunch in September 2016 – his biography Stalin’s Englishman: The Lives of Guy Burgess is essential reading for anyone curious about treachery at the heart of the Establishment, and how a brilliant drunken philander duped the Foreign Office, MI5 and MI6 for so many years, passing thousands of secret documents to his Russian handlers. Graham Greene joined the club in 1943, and left MI6 to join the publisher Eyre & Spottiswoode. Hugh and Graham Greene’s anthology The Spy’s Bedside Book is a forgotten classic. Greene is one of the 20th Century’s greatest novelists, yet he seems to have fallen out of favour, perhaps because of his Catholicism. Visiting my godmother Lesley Blanch in Menton in the 1980s she would tell me about his campaign against the corruption of the Mayor of Nice, Jacques Medecin, who accused Greene of “spitting in the soup.” Medecin fled France in 1990. Although membership and funds dwindled during the 1950s and 1960s, the club kept its doors open, welcoming new members; Kingsley Amis, John Braine and John Betjeman among them. The first of three annual literary prizes was established: the Art Book Prize for the best book on art or architecture; the Dolman Best Travel Book Award; and the Best First Novel Award. In 1971 it was the first major London club to accept women. Thanks to the superb charimanship of John Walsh, Chris Schüler and Sunny Singh the club is now thriving. Despite various attempts at writing a history and mysteriously mislaid manuscripts, this is the first complete history to be published in the club’s 125 years of existence. Scouring the club’s archives, National Archives, Richmond Local Studies Library and the memoirs of past club members, Chris Schüler has compiled an illuminating and truly original volume of insights and anecdotes, providing a vivid social and cultural portrait of a time of immense change. In our brave new world of computers, smartphones and tablets, a screen is like an invisible wall; the internet offering the illusion of togetherness. Writing is an isolated activity. To sit around a table face-to-face with a sociable group of readers and writers to enjoy stimulating conversation, good food, and fine wine is a precious privilege indeed.